ATLANTIC CITY — Brendan Barrett remembers lying in bed, pain preventing much-needed sleep despite the numerous medications meant to dull it. The heavyweight hopeful was living a vagabond existence and nearing 30 years of age. His body felt broken, and he had won just once in his previous seven MMA fights. For every opportunity that presented itself, two roadblocks seemed to appear. Money and optimism were in short supply; doubt and pain were plentiful. Barrett called a promoter and told him to send a contract. He would rededicate himself to MMA – not for the money or fame or any of the trappings that come with being a professional athlete – but simply to once again enjoy competing against another athlete. Fast forward two years and four fights, and life in the cage has been good to the fighter nicknamed “Brutal.” In his last bout, on April 5, he knocked out Silvio Santos in just 33 seconds to claim the vacant Ring of Combat title. In his previous three fights – two of which ended in the first round — Barrett won titles with three different organizations. 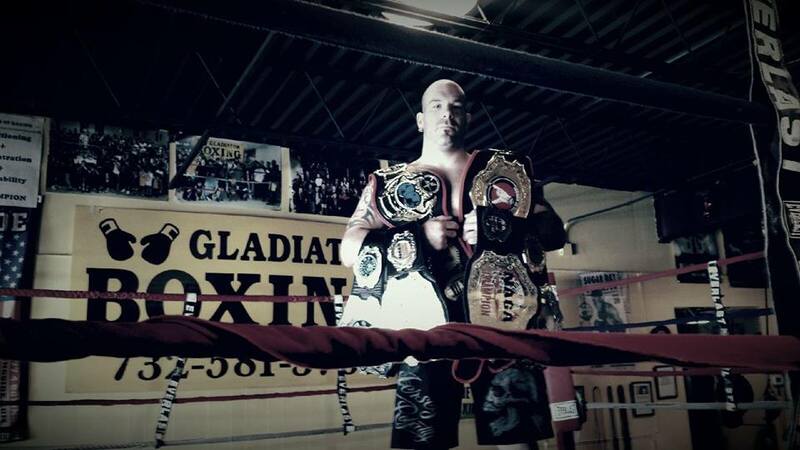 Winning four professional MMA championships in as many fights is a remarkable achievement by any standard. Now, for the first time, he will attempt to defend one of his straps. Barrett takes on challenger Miodrag Petkovic in the main event of Lou Neglia’s Ring of Combat 46 on Friday night. The 11-fight card, which kicks off here at the Tropicana Hotel and Casino at 8:30 p.m., will feature an appearance by unbeaten lightweight prospect Frankie Perez. All eyes, however, will be on Barrett, the Tuckerton, NJ, native who has been in the cage with UFC veterans Costas Philippou and Tim Boetsch while compiling an 8-6-1 record with one no contest. Even though Barrett is enjoying the longest winning streak of his career, beating Petkovic will be no easy task. Although he might not be a household name among MMA fans, the 44-year-old Serbian has fought around the world in amassing a 32-19-1 record, with nine KOs and 18 submissions. Petkovic has struggled a bit since 2009, picking up just five wins while losing 11. He lost his last fight, a decision to Jake O’Brien on Aug. 4 in Chicago, and this fight will mark his ROC debut. Barrett said he was offered other opponents but was intrigued by Petkovic’s experience. Barrett was scheduled to defend his title in June, but an injury – and a parade of changing opponents – forced him to pull out just a few days before the bout. It was one of the toughest situations he has faced since the night of his epiphany, said Barrett, who once fought with his spine fractured in two places, and another time checked out of a hospital just days before a fight and still competed. The fight also had a tremendous economic impact on Barrett. Neglia offered fans who came to see Barrett at the June fight a 50-percent discount, and Barrett paid Neglia the other 50 percent out of his own pocket (those fans also got free tickets to Friday’s show). Between that money, lost sponsorship revenue, and training costs, Barrett will be lucky to make any money from this fight. Still, Barrett always tries to find the silver lining in every situation. And this fight’s bright spot has been the addition of a new training family. Boxing promoter Sal Musumechi met Barrett and was impressed enough to hook him up with Los Angeles trainer Buddy Bereal, who brought in unbeaten heavyweight prospect Natu Visinia, who is 9-0 as a professional. Barrett, always a hard puncher, said working with this team has helped his standup game reach a new level. Still, he’s not into making predictions, he’s not looking past Friday’s fight, and he’s not saying what his future might entail. He’s been around the fight game too long and seen too much for that. Barrett only will say that he has “opportunities” that he is exploring. He hinted that he might get involved in boxing, he has his MMA career, and at some point he’ll probably put that dual bachelor’s degree — accounting and business administration with a minor finance — to use. And he’s doing his best to avoid any more dark moments that might require another epiphany. “Brutal,” who at one point in his life wanted to be a veterinarian, has a soft spot for animals, especially his cats, which he calls the three furry ninjas. To follow or sponsor Brendan Barrett, find him on Facebook athttps://www.facebook.com/pages/Brutal-Brendan-Barrett/181413739421. Barrett is sponsored by J.A. Tree Service, Vibram, DIB Leasing Inc, Vespa of Philadelphia, Coastal Sign and Design, Jersey Royalty, Enzymes.com, Collins, McDonald & Gann, P.C. Attorneys at Law, Sweet Jenny’s, The Shack Board Shop, Kuhl Marine Construction, RockTheGalaxy.com, and 2Nite Premium Italian Vodka.